Options to help you meet your continuing education goals. If you are applying for a federal loan please contact your school's financial aid office for assistance. Private student loans should be used as supplemental funding after exhausting all other sources of financial aid, including grants, scholarships, and federal student loans. Federal loans offer more attractive terms when compared to most other borrowing options, including private student loans. 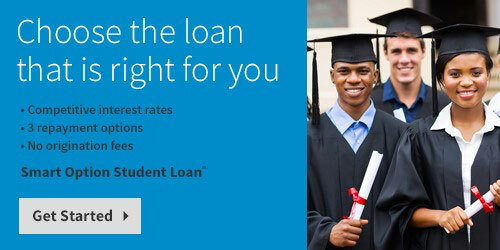 For more information on federal loans, visit: www.fafsa.ed.gov. For borrowers attending degree-granting institutions! N.E.W. Credit Union is proud to offer its annual scholarship program to help college bound seniors with the rising costs of education. The scholarships are given in memory of Method Vizelka, a twelve year volunteer on our board of directors. We hope to reward students who demonstrate Method’s dedication to volunteer service and his active participation in community organizations. To be eligible for the $200 scholarship the student must be a member of N.E.W. Credit Union. Students at Oconto Falls, Oconto, Suring, Lena, Peshtigo and Gillett high schools can apply for the N.E.W. C.U. Method Vizelka Memorial Scholarship directly through their high school guidance office or fill out this form. One scholarship is available for each one of the before mentioned schools and one is also available for the credit union’s membership at large.